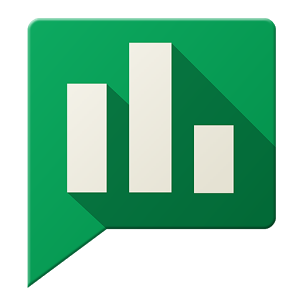 Google Opinion Rewards is a program that targets people with very short surveys and pays them a very small compensation for completing them, which is in Play Store credits. It launched in the USA and has since expanded to the UK, Canada, and Australia. With its latest update, Opinion Rewards is now available in Mexico and Brazil as well, expanding its reach to Spanish and Portuguese speakers. In light of the many recent comments by Donald Trump, I can't help but think about the implications. First of all, would Trump like this decision by Google? On its face, it would seem like a no-go in Trump-land. Giving jobs to Mexicans? That's not really his favorite thing, in general. However, he claims that Mexican immigrants "have lots of problems. They're bringing drugs. They're bringing crime. They're rapists." Maybe he'd be happier outsourcing these surveys. Rather than try to solve the internal logic of this man, I would like to propose a survey idea for newly-admitted Mexican Opinion Rewards participants to investigate his claims. Donald Trump says "when Mexico sends its people, they're not sending their best." Are you sending your best? In all seriousness, our friends in Mexico and Brazil will want to check this out. When I used the latest version today, I was asked if I spoke English or Spanish. Without a Portuguese option, that may mean that a great deal of Brazilians will be left out. On the other hand, the question may be different when you indicate that you are in Brazil.